Supply chain companies account for over 40% of the jobs and economic output generated by shale energy operations. EEIA combines the full scale of this employment and economic impact into one powerful voice. We are a persuasive messenger for energy because we exist throughout America, not just in oil and gas producing areas. We speak for Main Street American businesses, typically long established members of their local communities. 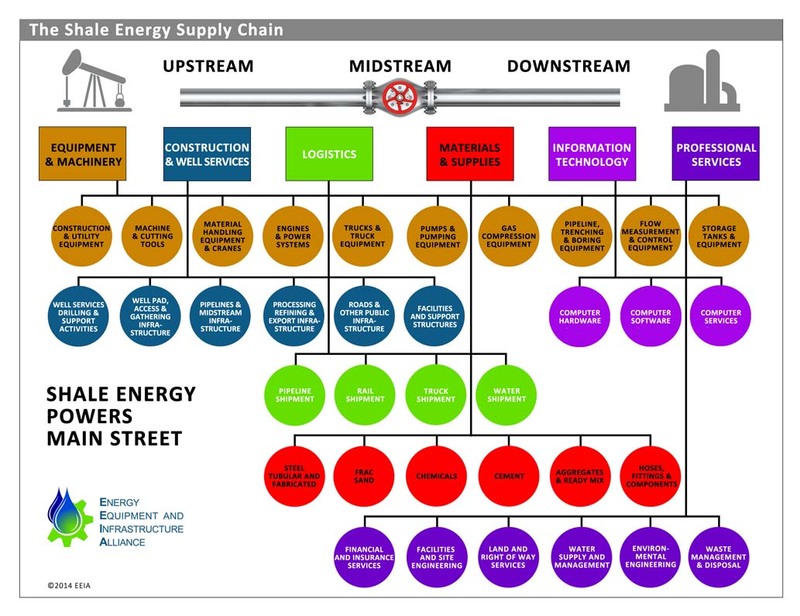 Energy Equipment and Infrastructure Alliance (EEIA) company members provide construction, capital equipment, materials and supplies, professional services, information technology and logistics to energy operations and infrastructure development - in other words the shale energy supply chain. Join now to make a positive difference in your company's success in energy markets.